A creased and stained card is always a good sign that it’s a great recipe, and proof that mom’s cherry pie can’t be beat! 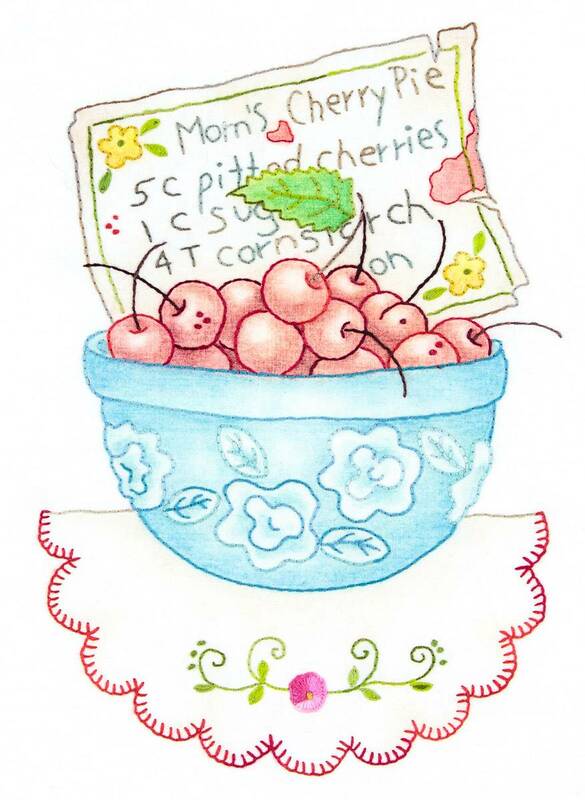 Time to start pitting those cherries… who’s going to make grandma’s pie crust? Design is hand embroidered and colored pencil tinted. Image measures approximately 5 3/4” x 8”.